Dr. Robert Cialdini is the Regents' Professor Emeritus of Psychology and Marketing at Arizona State University and was a visiting professor of marketing, business and psychology at Stanford University, as well as at the University of California at Santa Cruz. 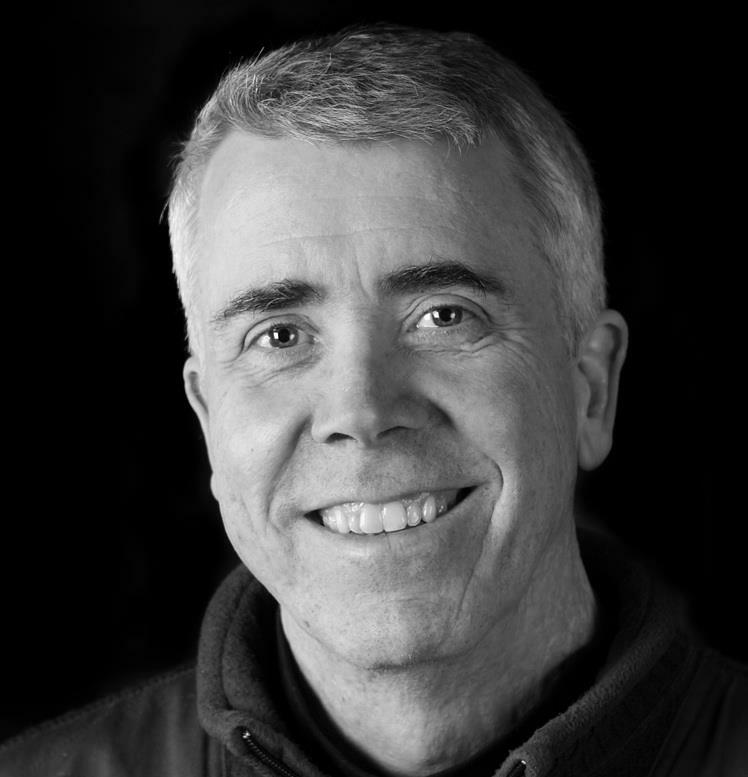 He is best known for his 1984 book on persuasion and marketing, "Influence: The Psychology of Persuasion." The book has sold over three million copies and has been translated into 31 languages. It has been listed on the New York Times Business Best Seller List. 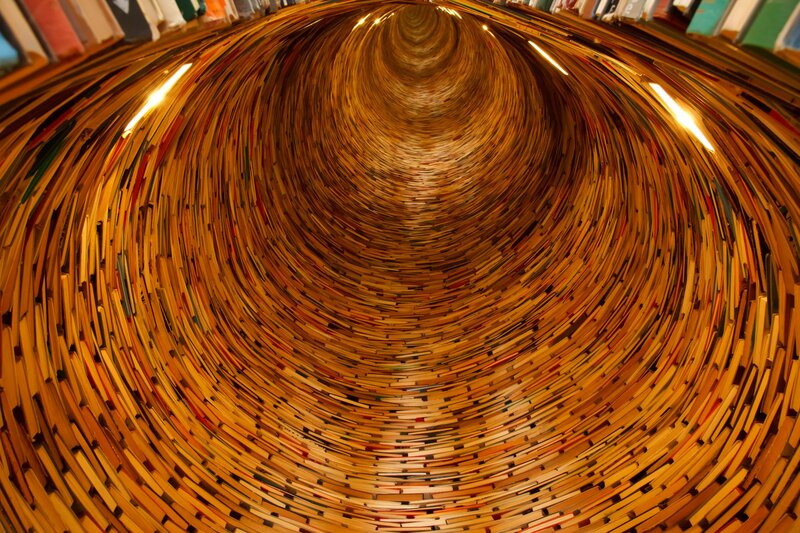 Fortune Magazine lists the book in their "75 Smartest Business Books". Influence has the hightest rating of any business title on Amazon.com since its founding 21 years ago. "The Small BIG: Small changes that spark a big influence" were a New York Times Bestseller and The Times Book of the year, respectively. Dr. Cialdini is also CEO and President of INFLUENCE AT WORK; focusing on ethical influence training, corporate keynote programs, and the Cialdini Method Certified Trainer program. And little known fact about Dr. Cialdini - he’s a palm reader! First off, let me remind you who Dr. Robert Cialdini is. He is perhaps best known for his New York Times bestseller on persuasion and marketing entitled, "Influence: The Psychology of Persuasion" which has sold over three million copies and has been translated into 31 languages. 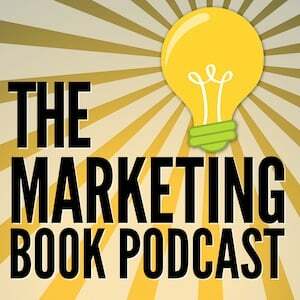 That book has the highest rating of any business title on Amazon.com, and amongst the authors of marketing and sales books interviewed on my show, it is one of the most mentioned books. This new book “Pre-suasion” is Dr. Cialdini’s first solo work in over 30 years. And it was worth the wait. The book shows the techniques you should use to be a more effective persuader. 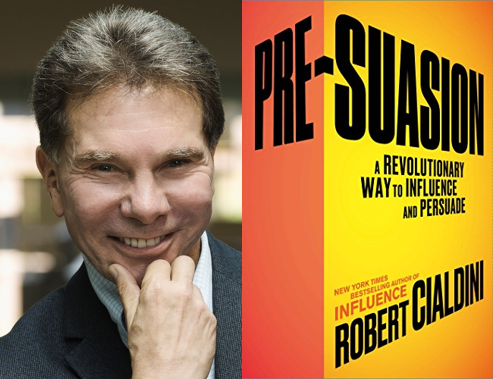 In “Pre-Suasion,” Dr. Cialdini draws on the same combination of rigorous scientific research and accessibility that made his book “Influence” a bestseller. But what is surprising about the techniques presented in Pre-Suasion is that you don’t have to change a listener's attitudes or beliefs – all that’s required is to redirect their focus of attention before a relevant action. In other words, the secret doesn’t lie in the message itself, but in the key moment before that message is delivered. In essence, you’re preparing people to be receptive to a message before they experience it. The book has a lot of examples of how this approach is used in the world today, but also throughout history. As I read through the book, the experience was like watching the secrets behind hundreds of magic tricks being revealed.